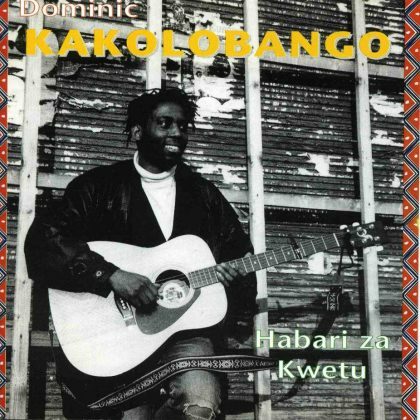 Although of zambian nationality, Dominic Kakolobango was born and spent several years in Lubumbashi in the mining region of Congo. 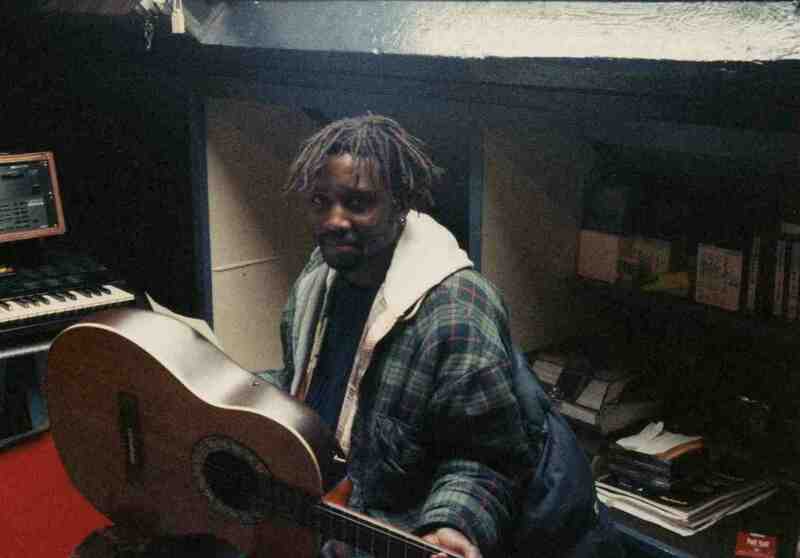 During his studies there he met Jean Bosco Mwenda, the famous songwriter and learned his songs and guitar-style. Jean Bosco Mwenda was the most wellknown of the various singers-songwriters that created the ‘chanson swahili’ : a repertoire of folk-songs from eastern Africa accompanied with an acoustic guitar played in the finger-style. This style never got international recognition as it was superseded by the Congolese rumba from Kinshasa. Dominic moved in the nineties to Belgium and this is where I met him. I became interested in this almost forgotten repertoire. We formed together in 1994 a trio with Cameroon bass-player Ary Zogdoulé that became a quartet with second vocalist Marlène Dorcéna from Haiti. We toured in Belgium during 1994 and 1995 with this no-noise, no-big show formula. 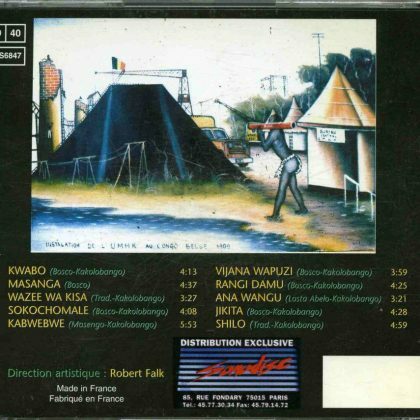 We recorded in 1995 the songs of the CD ‘Habari Za Kwetu’ (= News from Home) that was released in 1995 on the French label Sonodisc. After this CD, Dominic and I went on separate musical directions, because of artistic divergences but remained good friends. For more information on the ‘chanson swahili’ I recommend Elijah Wald’s web-site.